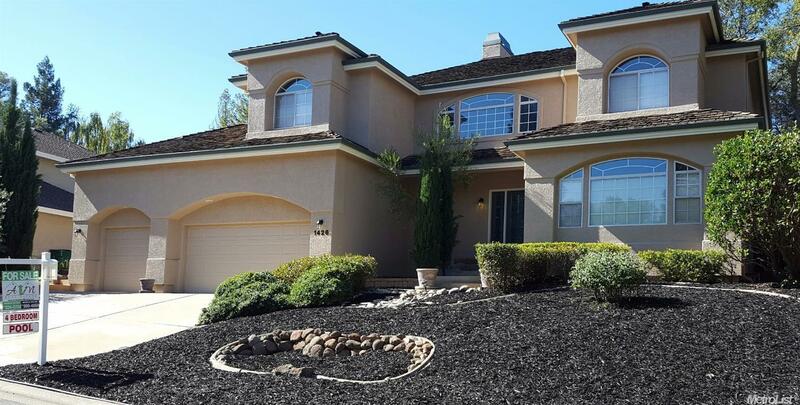 This beautiful home nestled in an upscale neighborhood is ready for you. Enter through the open foyer and you will be pleasantly overcome with the abundance of natural light. The kitchen is an entertainer's dream with plenty of cabinet and counter space, veggie sink, island and grill. Crown molding throughout. French doors extend out to the lush backyard featuring pebble tec pool and spa with soothing waterfall. Enjoy the evenings around the outside gas fire pit. Freshly painted exterior too!